Palmdale Blue Stockings vintage base ball team cap. Available in any size. The official box cap of the Palmdale Pilots from Southern California. 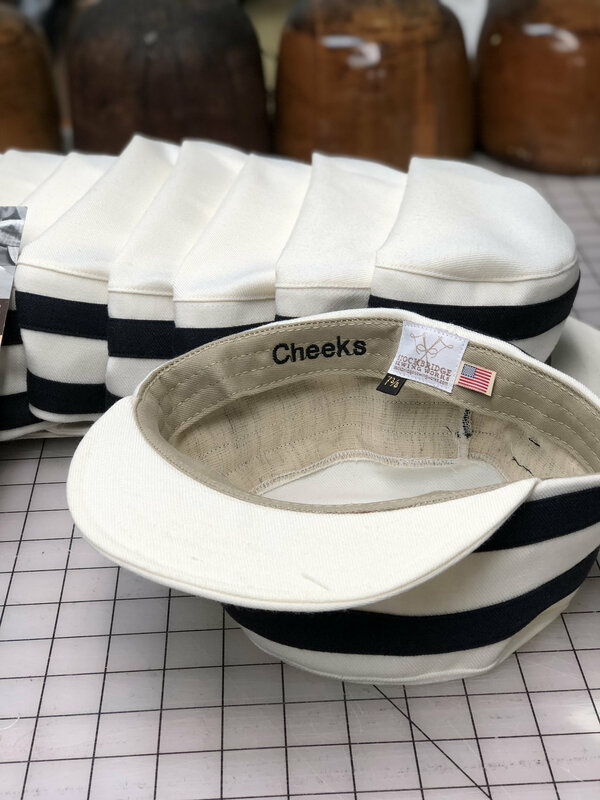 The vintage base ball themed boxcap is one of the most popular cap styles for the late 1800 vintage base ball teams. 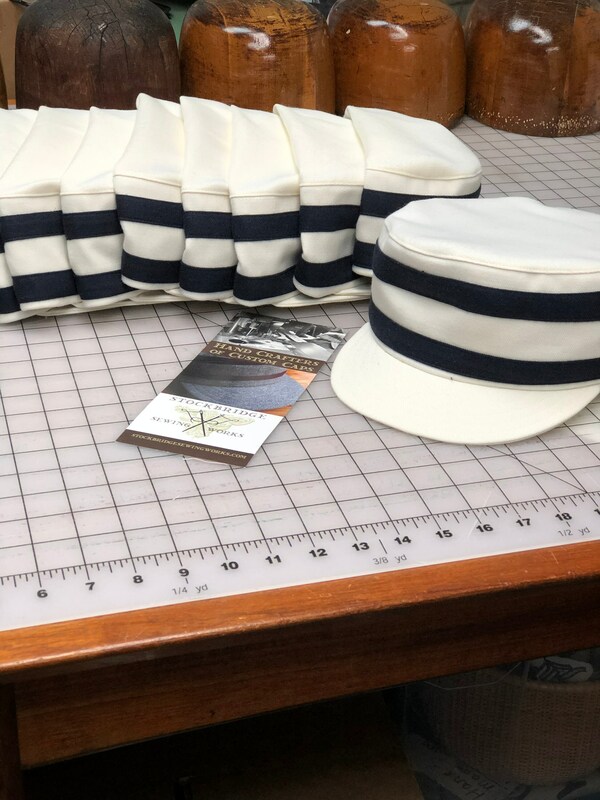 Whether your a vintage base ball player, fan or just want to sport a classic cap, this cap is a perfect accoutrement to your wardrobe. The fabrics used is a wool serge blend and makes a very durable cap. Contact me with any customizations!